Sea Angel (Beijing) Exhibition Co., Ltd.
You can use it expediently in all kinds of exhibition, with handtailor magnetism paste technology. With straight and curved type, the whole installation system can be dismantled, installed and reset at will. 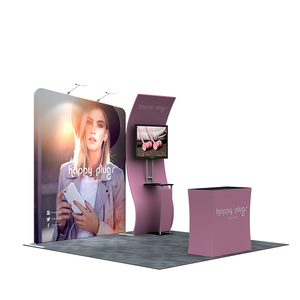 If you have any creative idea for booth, pls send us your design, we can customize for you. We have our own factory and technical teams, most of the product&rsquo;s size can be customized. How long is the production period9 A2: In normal condition, 3-5 days after deposit payment is done. Q4.Can you help with my design9 A: Our design teams will help you the template of the artwork . We will help you to contact with the forwarder to dealing the shipping. Give us your floor plant ,we will make some plan of some working sketches for your reference. We provide relative installation drawing and vedio for foreign customers before delivery, to help you easily understand how to operate. 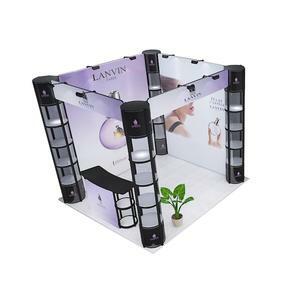 besides the modular exhibition booth is lightweight and portable, you can take it everywhere as you need. 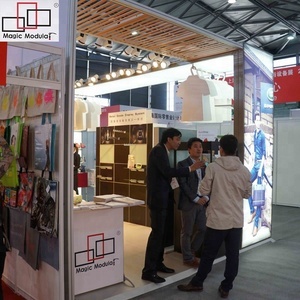 Are you trading company or manufacturer9 We are one of the earliest and leading exhibition equipment manufaturers in China. Is it easy to set up9 Do you have installation guide9 Our booth is very easy to set up based on our design. We can print a small piece as sample for free before formal printing when you need. We can print a small piece as sample for free before formal printing when you need. We provide after-sale lifelong service, free replacements for the broken parts. Yangzhou Tanfu Exhibits Co., Ltd.
And a special thanks to Jane and her staff for working so hard and making sure every request and question we had was addressed right on the spot. And a special thanks to Jane and her staff for working so hard and making sure every request and question we had was addressed right on the spot. Overall, your company exceeded our expectations, so we were just glad to have you and your staff as part of our team for this show. 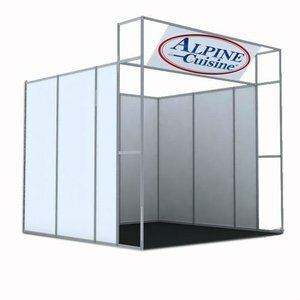 Alibaba.com offers 1,760 exhibition stall products. 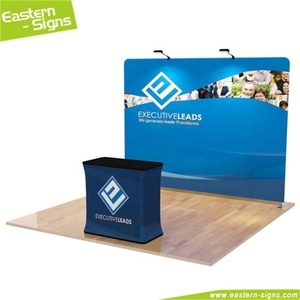 About 41% of these are other trade show equipment, 18% are booths design & executing, and 6% are display racks. 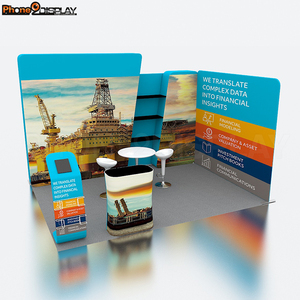 A wide variety of exhibition stall options are available to you, such as free samples, paid samples. 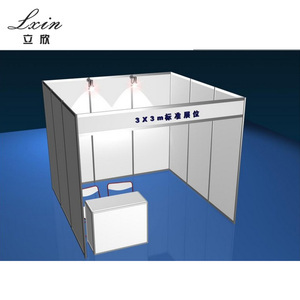 There are 1,493 exhibition stall suppliers, mainly located in Asia. The top supplying countries are China (Mainland), India, and Turkey, which supply 88%, 4%, and 3% of exhibition stall respectively. 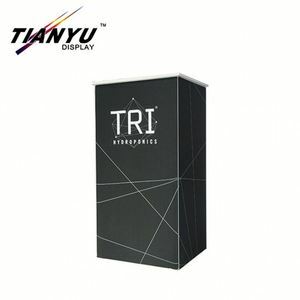 Exhibition stall products are most popular in North America, Domestic Market, and South America. You can ensure product safety by selecting from certified suppliers, including 820 with ISO9001, 294 with Other, and 242 with ISO14001 certification.